Who likes being called a "Senior Citizen"? Not many. Even though the reality of age may demand the description, there is a more accurate way to speak of many older people who find themselves alone. 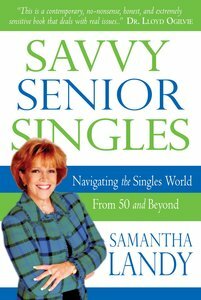 Author Samantha Landy prefers the phrase Savvy Senior Singles for those who are mature but still very much young at heart-and living without a partner. Her practical insights give you the nudge needed to live a successfully fulfilling second-half of life.